Enjoy the speed and simplicity of 2wd off road truck racing with the Rocat 2wd 1/10th stadium truck. 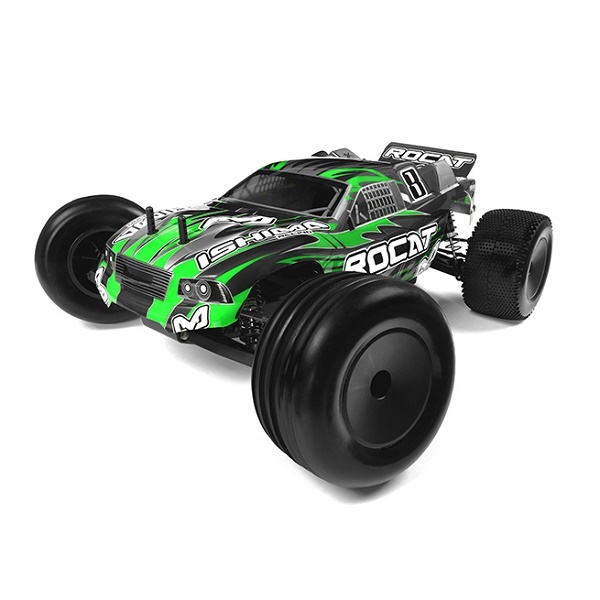 Based around tried and tested 2wd engineering and styling as used by leading manufacturers, the Rocat 2WD Stadium Truck is the perfect platform to discover the exciting world of R/C off road fun or racing. It's simple fit and forget design is highlighted with the bottom loading battery compartment and rear mounted switch enabling you to use and change batteries without removing the bodyshell.